Elevator pitch : We built a low-cost sensor platform to passively measure street surface quality using an accelerometer and added a camera to be able to literally see the "ground truth". This data and its visualization, we contend, will significantly improve decision making & resource allocation around existing pothole repair operations in New York City and attain "Escape Velocity" instead of maintaining orbital velocity as Dr. Lucius Riccio elegantly describes it. "290,210 potholes have been repaired this winter maintenance season"
reads the "The Daily Pothole" a Tumblr site maintained by the Department of Transportation. A comic strip illustrating the daily fill, spill and milling of the hard-working pothole crews provide comic relief to this age-old problem of cities. The Center on Municipal Government Performance describes street maintenance as the "most visible example of local government performance" and we agree. To that end, we describe the creation of SQUID - Street Quality Identification Device. Of course we needed an acronym! The Daily Show's new host, Trevor Noah mocking NYC's potholes. The motivation for the device came from initial forays into measuring Bumpiness while riding the NYC Century Marathon. This semester at CUSP - we had an opportunity to take an excellent course by Arlene Ducao over at ITP titled "Quantified Self about Town" which delved into wearables, & iOT in an urban environment. At the same time Bob Richardson was teaching Civic Tech Management and he mentioned in passing how cool it would be if the city could measure all the potholes. All we needed to do was put the 2 together in our heads and be a tad naive. The concept was simple - a device that could passively record ride quality but more importantly also take a picture so that the readings could be backed up with some visual evidence. We began with the Tessel which I have described in detail while demo-ing a parking sensor but we soon found out that we needed something faster and more robust to deliver our vision. Enter the Raspberry Pi. It took some familiarization with the Pi and some soldering help (Thanks Justin!) but once we had the individual sensors emitting data - all we needed to do is work towards coherence. The sunny morning of Monday, Apr 12, 2015 was our Mercury moment. After some advanced case-logic SQUID v1 was born. Leveraging car-sharing - we jerry-rigged SQUID to the rear of the vehicle (We were still skittish to expose it to the open). A group of Haitian protesters were campaigning outside 1 Pierrepont, (CUSP Student HQ and Hillary Clinton Campaign HQ). At the end of an hour's drive - we had our first dataset. We then threw it into Tableau where we recently discovered the ability of showing web pages on a Tableau dashboard. This is what emerged. A cobbled section of York Street in Dumbo served as a sanity check as you will see in the video. Ok so we were able to demonstrate the basic concept. This is our lump of clay taking shape. From here on - we start sculpting. The images as you can see are low-res and cover too large an area to discern anything. So we are able to map out an entire neighborhoods. What next ? Can we do this for the entire city? Back to that number on the Daily pothole. Its a common metric that is often used to demonstrate the city's response to poor street quality. Its a fairly big number as well but its only a number. We do not know what it means objectively. 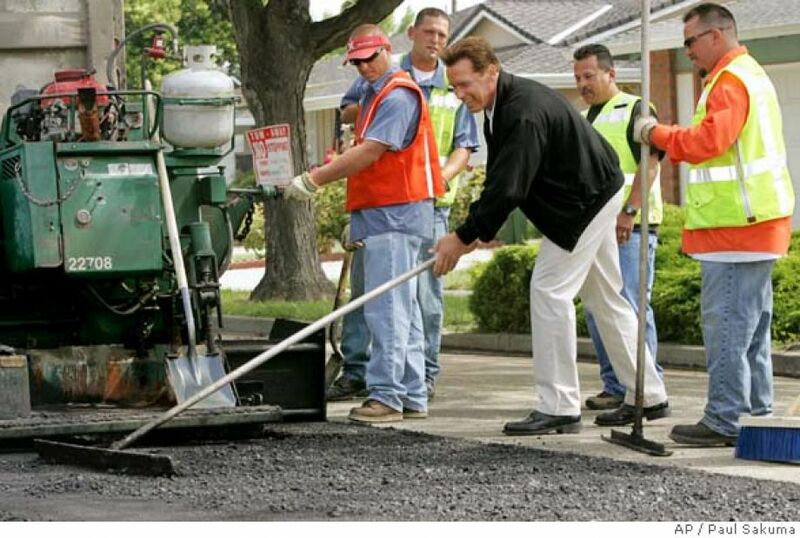 It does convey the work done by the pothole crews who tirelessly get the job done. Getting the job done "smartly" is what we are advocating here. This is a classic resource-allocation problem that is just waiting to get fixed. This is the current workflow of the life of a pothole complaint based on what we know. This is what Orbital velocity looks like, it's a glorified way of saying maintenance mode. At this rate - we will always be playing whack-a-mole with no end in sight. ...and this is how we attain Escape velocity - towards a Vision of eliminating potholes. Sure, it's a ridiculous moonshot of an idea but even getting close means getting a lot better at fixing potholes. As per this WNYC story - "The American Society of Civil Engineers estimated in 2013 that motorists spend an estimated $500 dollars in extra costs driving on rough roads – in repairs, wear and tear and extra fuel." As the recently released Internet of Things Manifesto states - "Design of the Win-Win-Win". We think this is possible here. What does an accurate citywide pothole map enable? Pothole crews (the link shows a cool video of them doing their day-to-day) probably spend a large chunk of their time driving to pothole complaints. Once they get to a complaint location they fix all the potholes on that street section. What if the adjacent street or block has even more severely damaged streets that no one bothered to report in ? There is little situational awareness for a problem that the city is committing $310.1 million dollars to. Our approach offers a new way to tackle that enduring challenge. We built the tech and we now want to focus on fixing the problem. However much fun it may be for a citizen to report a pothole, we think that a more situated sensor platform that can be mounted on any agency's fleet can collect this data at scale. Past and current efforts use expensive military grade sensors and ominous looking, bulky technology that overengineers the core issue - knowing where the potholes are! We built a "good enough" platform that is able to convey ground truth and is able to scale across the entire city. This is what ARGO aims to demonstrate and deliver. 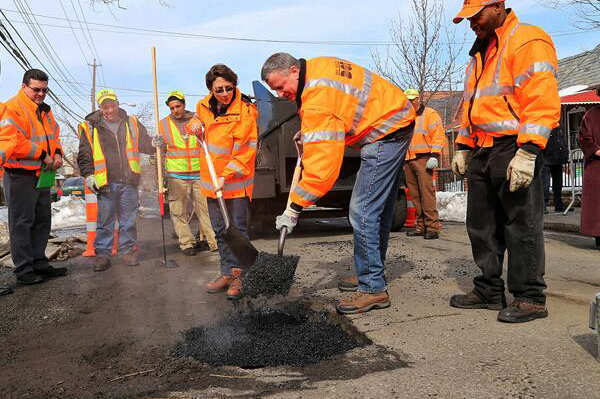 Does New York City want to be the world's first city with all its pothole mapped? The only significant loss to the city - cool photo ops. We would love to hear your feedback, ideas & opportunities to smoothen your streets using SQUID.